Only a few days left till the end of the year, so here’s a Merry Christmas trees sketch in pale pastels for you, as well as the last two pieces that I managed to find time to paint — we’re still busy planning for 2019! Merry Christmas 2018 from Floating Lemons Art! I’m hoping to still get some painting done before the year ends but I’ll probably take a few days off from blogging and social media till the end of the month, to work on planning and getting my free printable ready for subscribers to our monthly newsletter! Please do sign up for it (the link is on the right of the blogpost) if you’d like monthly printables to download as well. 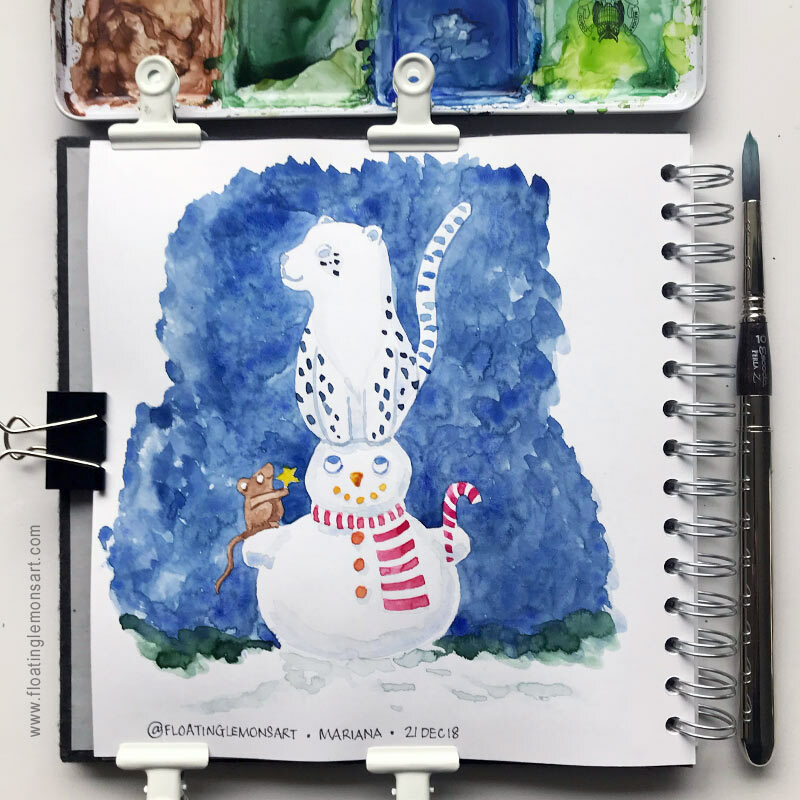 I used Prima watercolours for the christmas trees painting instead of my usual Schmincke paints for a change, and because I love their lighter, yet not-too-sweetly-pastel hues! 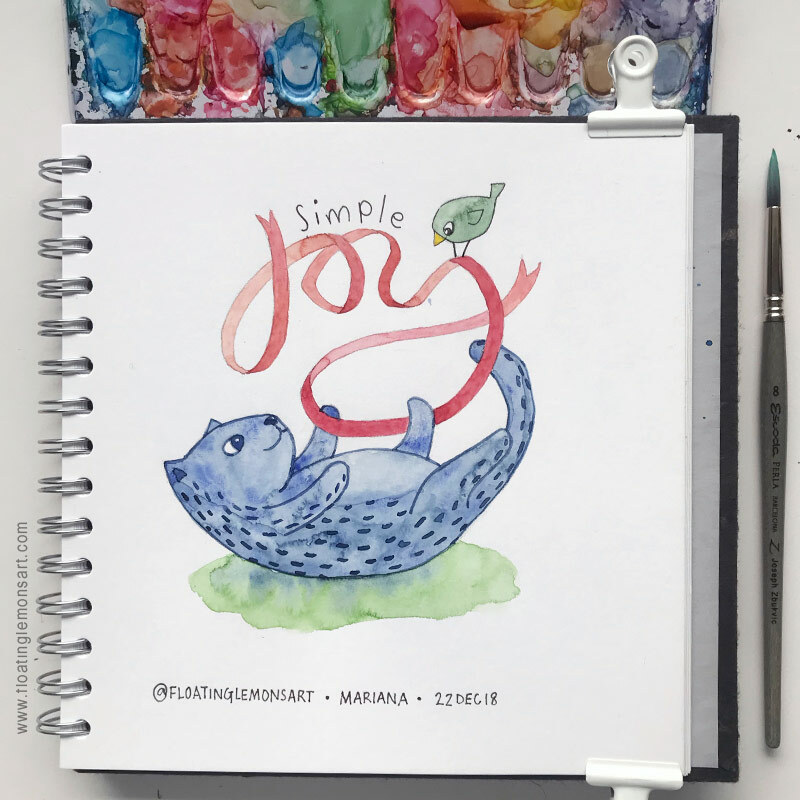 Prompts are from Sketchbook Skool or the Daily Creating Group on facebook, I love both and mix them up in one sketch whenever I can. I’ve listed all the supplies that I use and love, HERE. Wishing you Happy Holidays and a magical time with all your loved ones! Cheers. Newer PostHappy New Year 2019!